Michael Mann was the only mainstream climate scientist on the four-member panel that included three noted deniers of the scientific consensus on global warming. MIAMI: Lawmakers and scientists called names, lamented Soviet-era tactics and accused each other of wrongdoing at a nearly three-hour hearing on climate science in the US capital on Wednesday. Similar hearings have been held in years past, notable for the often combative comments by conservative lawmakers who doubt the impact of humans on global warming -- and who outnumber Democrats 22 to 16 on the House of Representatives Committee on Science, Space and Technology. Wednesday's hearing took place one day after President Donald Trump ordered a massive rollback of rules that limited carbon emissions, and just weeks after he released a budget proposal that would slash funding and jobs at key federal science and health agencies. Michael Mann -- a Penn State University professor of atmospheric science who has received death threats in the past for his work on climate change -- was the only mainstream climate scientist on the four-member panel, which also included three noted deniers of the scientific consensus on global warming. Some colleagues had urged Mann to boycott the hearing, titled "Climate Science: Assumptions, Policy Implications, and the Scientific Method." "In the past, the science community has participated in these hearings, even though questioning the basics of climate change is akin to holding a hearing to examine whether the Earth orbits the sun," wrote David Titley, a professor in the department of meteorology at Pennsylvania State University, in the Washington Post on Tuesday, the eve of the hearing. But Mann went ahead, undaunted. "I was more than willing to endure the food-fight I knew would be coming, so that I could inject some science into a hearing that is ostensibly supposed to be about science," Mann told AFP in an email afterward. Accusations and name-calling began flying immediately. The chairman of the committee, Republican Lamar Smith of Texas, opened by alleging that climate scientists often issue "alarmist findings that are wrongfully reported as facts." 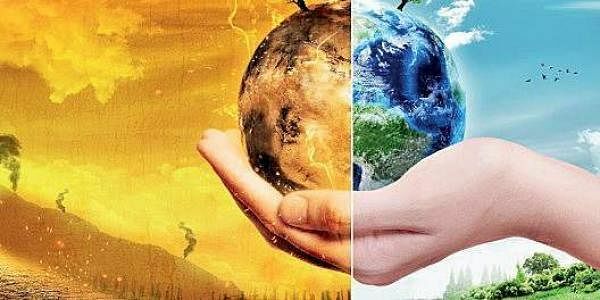 Ninety-seven percent of scientists agree that human activity and the burning of fossil fuels is driving global warming. But Smith insisted the "science is not settled." "Much of climate science today appears to be based more on exaggerations, personal agendas, and questionable predictions than on the scientific method," Smith said. Judith Curry, a former professor at the Georgia Institute of Technology, said "sausage-making and even bullying" went into building the consensus on climate change in the UN Intergovernmental Panel on Climate Change (IPCC), which found that greenhouse gas emissions from fossil fuels were the dominant cause of global warming. She also pointed to "substantial uncertainties in our understanding of how the climate system works." Echoing the central slogan of the Trump presidential campaign, Curry proclaimed: "Let's make scientific debate about climate change great again." Republicans sparred with Mann repeatedly. At one point, when Mann described an article that had been published in Science magazine, Smith responded that "is not known as an objective magazine." Speaking in a prosecutorial monotone, Louisiana Republican Clay Higgins asked if Mann was associated with the left-leaning Union of Concerned Scientists or the Climate Accountability Institute. Mann said no, clearly surprised by the questions. California Republican Dana Rohrabacher likened the tactics of climate scientists to the tactics of the late Soviet leader Joseph Stalin and lamented their "personal attacks." "For scientists to call names, to beat someone into submission, that's a Stalinist tactic," he said. Georgia Republican Barry Loudermilk pressed the issue of natural variability in climate change, and said of Mann: "We could say you're a denier of natural change." Democrats countered that three of the four scientists on the panel -- which also included John Christy of the University of Alabama and Roger Pielke of the University of Colorado -- represented the "fringe" of climate science research. "For a balanced panel we would need 96 more Dr. Manns," said Democrat Suzanne Bonamici of Oregon. Mann stood his ground and accused Republican lawmakers of being unduly swayed by special interests such as the fossil fuel industry, which fund their campaigns. A few Democrats on the committee sought points of agreement among the panelists. At one point, asked if funding cuts for science are wrong, all four nodded in agreement. Rush Holt, chief executive officer of the American Association for the Advancement of Science -- which publishes the journal Science -- urged Congress to speak to a broader array of climate scientists. "There is much our nation can do to address the risks that climate change poses to human health and safety, but disregarding scientific evidence puts our communities in danger," he said in a statement emailed to AFP. By the end of the hearing, Mann was deluged on Twitter with offers of beer, wine and chocolate from fellow scientists who praised him for his efforts. Asked if he felt any progress was made at the hearing, Mann told AFP: "I hope it was clear to objective observers where there real debate lies. "It's not in whether we have a problem," he added. "It's what we choose to do about that problem."